From our kitchen to yours, we are pleased to feature this tasty recipe shared via WallflowerGirl.co.uk for you to try with our organic Chili Powder. 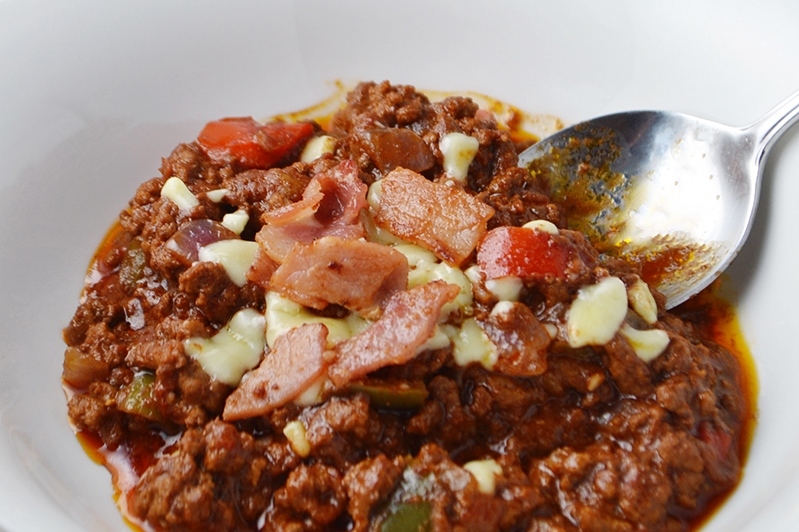 Chocolate, whiskey and bacon on their own are already delectable; but, when combined together in a chilli it’s a tantalizing treat with an eruption of flavours! This fun recipe hails from Surrey, England and was created by Aimee of the Wallflower Girl blog. Click on image to link to recipe. 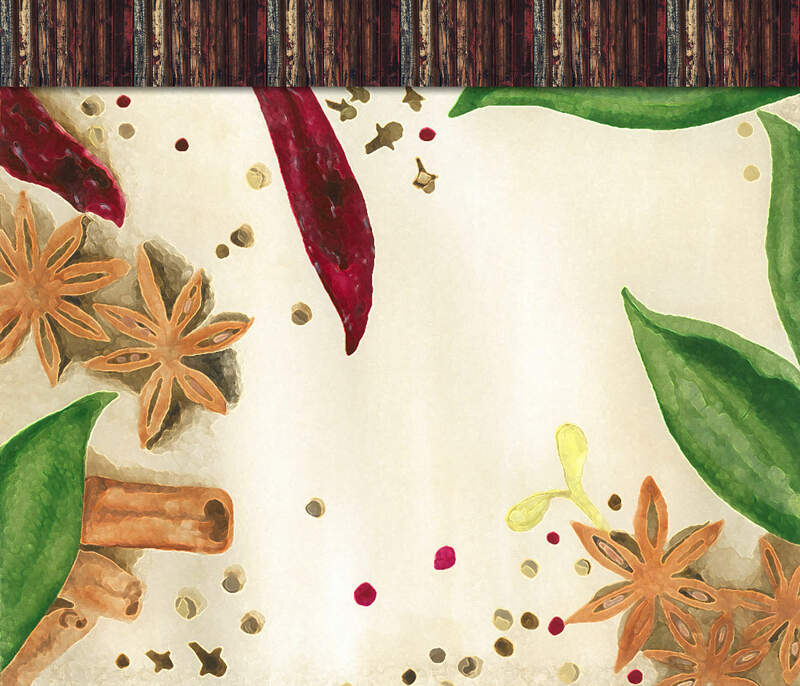 From our kitchen to yours, we are pleased to feature this tasty recipe shared via thecafesucrefarine.com for you to try with our organic Chili Powder. Nothing completes a summer meal like a light salad with fresh ingredients. 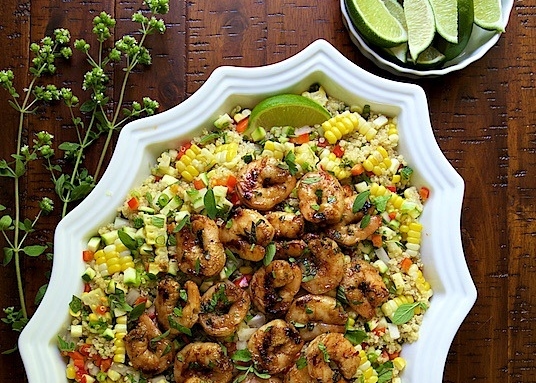 This cheerful, delicious and good-for-you quinoa salad with grilled chili lime shrimp is a definite crowd-pleaser. It’s refreshing and rejuvenating, according to Chris of the Cafe Sucre Farine blog. We agree! Click on image to link to recipe. Chili Powder – Did you know? From our kitchen to yours, we are pleased to feature this tasty recipe shared via theyummylife.com for you to try using our organic BBQ Rub Seasoning. 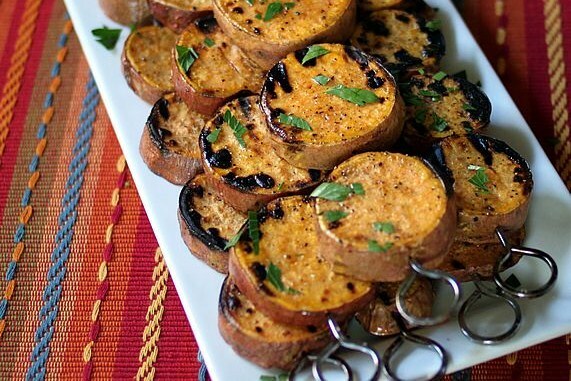 While great on meats and poultry, a BBQ rub is also terrific with grilled sweet potatoes! This no-nonsense, nutritious recipe for Grilled Sweet Potato Kebabs, from The Yummy Life blog, suggests that you can season the kebabs with anything you like. 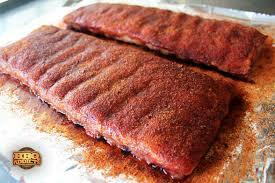 We think our organic BBQ rub would be a great seasoning option! Click on image to link to recipe. From our kitchen to yours, we are pleased to feature this tasty recipe shared via theBBQBuddha.com for you to try using our organic BBQ Rub Seasoning. 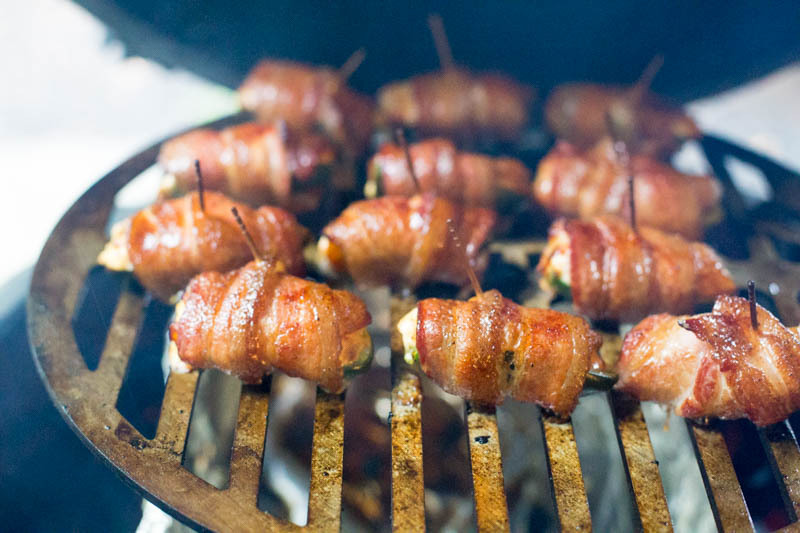 ABT’s (Atomic Buffalo Turds) are always a big summer BBQ favourite! The BBQ Buddha blog takes the classic recipe to another level with their shrimp and goat cheese version, including jalapeño, bacon and finished with BBQ rub. ICYDK, the Big Green Egg is a ceramic charcoal barbecue cooker. Click on the image to link to recipe. BBQ Rub Seasoning – Did you know? From our kitchen to yours, we are pleased to feature this tasty recipe shared via Fannetastic Food for you to try using our organic Apple Pie Spice. As you know, breakfast is the most important meal of the day. 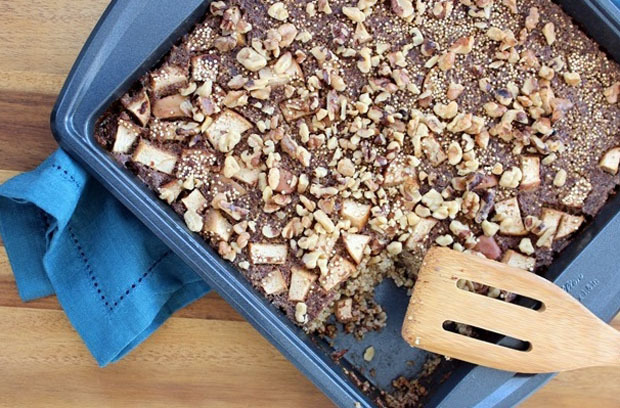 So, consider this healthy, make-ahead, baked breakfast brimming with apples and quinoa, plus apple pie spice, walnuts, flaxseed and almond milk. This recipe is from Anne of the FannetasticFood blog, and it is gluten free, vegan and has no additional sugar! Click on image to link to recipe. 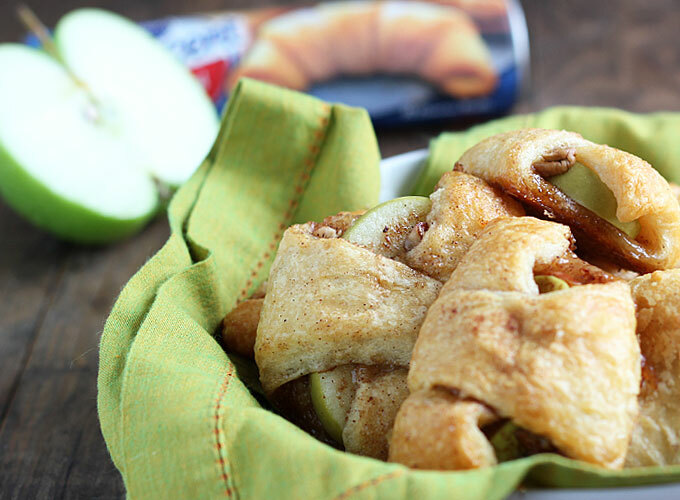 From our kitchen to yours, we are pleased to feature this tasty recipe shared via theblondcook.com for you to try using our organic Apple Pie Spice. When you need an effortless and tasty dessert, we think this recipe for mini apple pies tops the list. Using apple pie spice, these Apple Pie Bites shared by Amy from her blog, The Blond Cook, could easily be a new favorite treat for your family and friends. Click on the image to link to recipe.